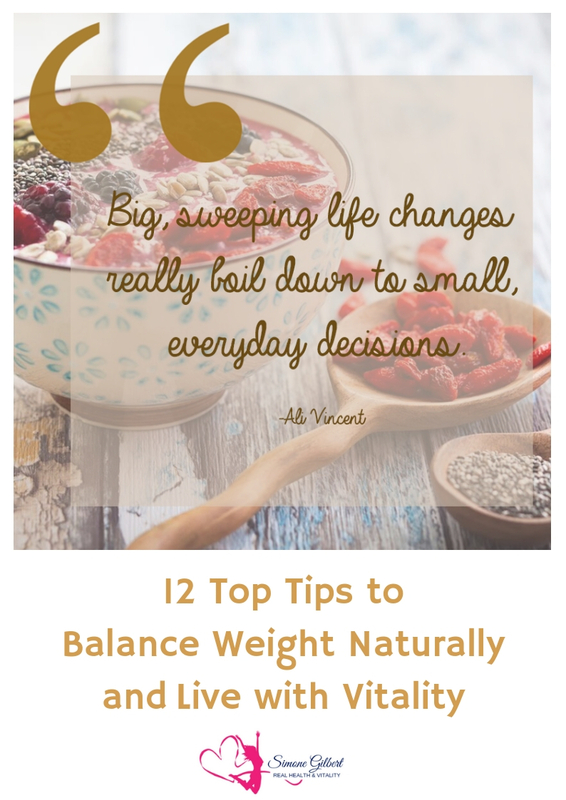 12 Top Tips to Balance Weight - and Life - Naturally! Is it time to “take stock” and rethink your approach to your health? Would you like some simple, yet powerful steps you can take that have the potential to massively transform your well being? Amidst the confusion of conflicting information about health and well-being, how to find it and how to keep it, there is a clear path for you. 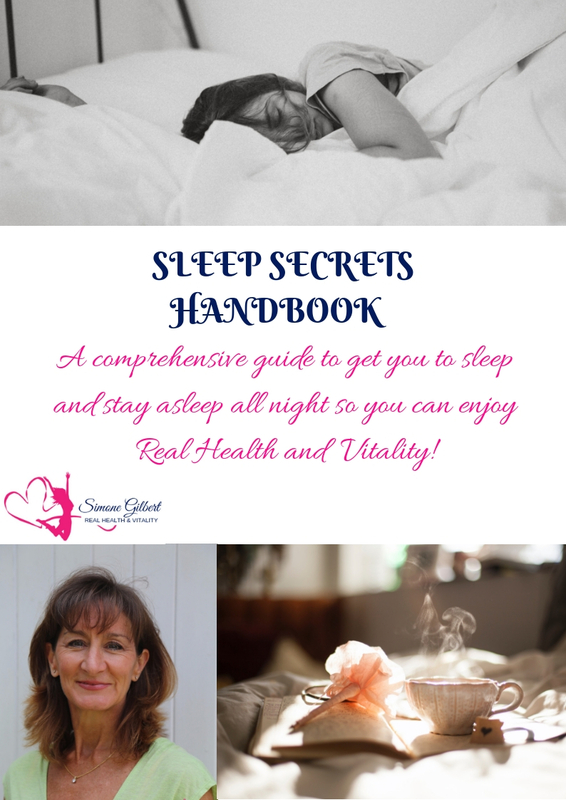 The information in this guide provides an insight into fundamental steps and changes you can integrate into your world that will help you to reconnect with you and your own needs, reclaim real health, regain drained energy and renew your whole approach to … YOU! It’s time to choose health! Start today! In this “busy busy busy” world of ours where “doing” is applauded, many of us pay a high price for our existence in terms of our physical and mental health. It’s only when we press pause and allow time to recharge our batteries, time to “BE” not do, that we reconnect with ourselves and fully exhale. Are you feeling tired – not, exhausted – and nothing seems to refill your energy supplies? Maybe it’s time to remember the things you really love, which are the things that bring joy into your life and makes your soul shine! These are the things that are truly re-energising. They liberate your spirit so your eyes sparkle and you smile wide! 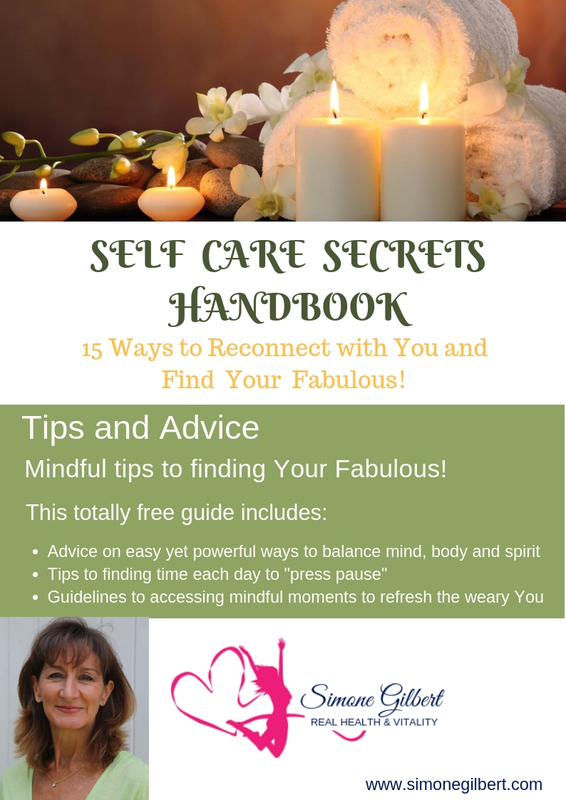 If you need to step of the doing-go-round a moment and enjoy some real self care, this guide will shine a light on ways to do just that! I hope you love it!